In the endless Tai Ah Herb Mountain of the Divine wilderness, a small figure was climbing and jumping in the mountains! With 200 cauldrons of weight of the Flowing Mercury Gown, Yi Yun’s every step had to be careful. He could not step on mud and had to step on rocks, or his entire leg would sink into the ground. In the Divine wilderness’ mountains, there were many rocks, and their hardness were sufficient for supporting Yi Yun’s weight. After stepping on a piece of rock, when Yi Yun was about to take a second step, the large green rock he had rested his weight on suddenly flipped over. It was as if it could not handle the heavy weight Yi Yun possessed, causing it to be pried out of the soil. This sudden turn of events surprised Yi Yun. With the rock’s flip, his entire body fell down. With 200 cauldrons of weight in the Flowing Mercury Gown, if he did not change the weight in time, falling would be no laughing matter. If Yi Yun fell on any normal rocks, they would shatter and injure him at the same time. 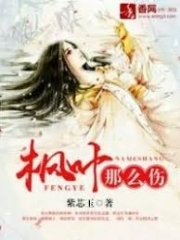 Seeing that he was about to fall onto a large rock, Yi Yun still did not change the weight of the Flowing Mercury Gown; instead, he twisted his body in the air and drew out his Thousand Army Saber from his back! The human-height long Thousand Army Saber cut through the rock wall like tofu. Using this force, Yi Yun swung his body and somersaulted back into the air. With the strength from this back-flip, Yi Yun’s body, which was about to crash into the ground with his back first, managed to swing to the side. He was like a lively monkey. After traversing a distance of three meters and tipping his toes on a rock, Yi Yun regained his stability. But the simple tip of his toes had crushed the rock to pieces. As a result, Yi Yun finally had enough power to firmly land on top of a boulder. The series of moves he executed was a result of reaching the threshold of the large success stage of Minute Subtlety. If not, he could only have reduced the weight of the Flowing Mercury Gown while falling off the large rock. Climbing a mountain with a weight of 200 cauldrons was difficult since he could accidentally crush the rocks he walked on. Yi Yun was continuously attempting and experimenting. Under all these attempts, he slowly gained more and more precise control of his strength. Each ounce of strength was no more, no less than necessary. It was like he was dancing on the tip of a blade. Step after step, Yi Yun climbed up the mountain. Each step was fast and careful. Every spot he pa.s.sed by looked like the step of a behemoth. There was a large crater left behind wherever he rested his feet. Every time he encountered a situation with the rocks he stepped on, Yi Yun would use his movement skills to safely emerge. Yi Yun suddenly realized that there was a shimmering light by a tree a hundred meters away. It was like starlight. The Purple Crystal within Yi Yun’s body began to pulsate slightly, bringing the light’s existence to Yi Yun’s attention. With Yi Yun’s cultivation level getting higher, his spiritual energy was getting more powerful, allowing him to now perceive things in a keener manner. Yi Yun could perceive every bit of energy in a hundred meter radius. And if there was a primordial species with full of pure energy around, even if it was tens of miles away, Yi Yun would still be able detect one. Yi Yun’s perception was not affected even if the energy was sealed. Of course, being able to perceive sealed energy was one thing. Absorbing it was another! This was the fantastic vision that the Purple Crystal gave Yi Yun–a world with energy as its building blocks. Under the guidance of the Purple Crystal, Yi Yun easily found the source of the energy. Brushing away the shrubs, Yi Yun found a fist-sized flower in between the cracks of a tree trunk. By looking at the flower’s colors and the way the petals moved, Yi Yun identified the flower. When he came to the Tai Ah Divine City, he had read the book ‘Divine wilderness’, which had records about the Void Star Flower. It absorbed Heaven Earth Yuan Qi and rain to grow. It was rooted in an ordinary large tree as a parasite. But this tree was actually no different than the Void Star Flower’s own roots. Upon removing the Void Star Flower, the tree would slowly wither away. In the Divine wilderness, there were all sorts of treasures that had the ability to hide and protect themselves, if not, they would easily be eaten by desolate beasts or picked by humans. The Void Star Flower was a high-grade Yellow-ranked herb and could exchange for about three dragon scale runes. No wonder people were reluctant to pick herbs. This was indeed a lonely, boring and dead-end job. After picking the Void Star Flower, he carried on. By choosing to particularly step on rubble and easy to slip gravel, Yi Yun kept testing his movement skills and his power control. This naturally slowed down Yi Yun’s speed. A typical herb-picking cultivator would begin searching for herbs upon reaching the herb mountain. They wouldn’t have the time to care about anything else. If they could not hand over 25 dragon scale runes, then their dragon scale runes would go in the negative. Upon reaching negative dragon scale runes for two consecutive days, the Divine City would remove the free lodging privileges, causing one to sleep on the streets. For a warrior, sleeping on the streets was nothing, and not really a punishment, but&h.e.l.lip; it would be extremely shameful. Those who could come to the Tai Ah Divine City were all prideful people. But to end up being ineligible to live in the Divine City’s free lodgings to the point of sleeping on the streets, it would bring great ridicule upon the news traveling back to their family clans. They might as well kill themselves. Hence the people who came herb-picking would not dare to skive. But Yi Yun proceeded slowly into the herb mountain. Most of the time, he was practicing his movement skills. As for picking herbs&h.e.l.lip; He did that casually. With the Purple Crystal, he had a 100% efficiency rate. Soon, Yi Yun’s herb basket was filled with a dozen kinds of herbs, mostly of the Yellow-rank. Yi Yun estimated that the herbs were only worth about 30 or so dragon scale runes. Yi Yun looked up and discovered that there was a fuzzy energy fluctuation several hundreds of meters away. The energy fluctuation was more intense than the Yellow-ranked herbs he had previously found. Yi Yun licked his lips and began using his movement skill to head towards the energy fluctuation like an agile monkey. Yi Yun interfaced his spiritual energy with the Purple Crystal. From his perspective, there was a huge blob of Heaven Earth Yuan Qi, burning like a fire cl.u.s.ter. It was apparent that there was some spiritual item at its origin. But exiting from the Purple Crystal’s vision, all Yi Yun saw was a black rock. The black rock was rough on the surface, and was full of tiny potholes. It looked no different than an ordinary rock, with no sign of a herb. Yi Yun stroked his chin, and recalled an entry in the “Divine wilderness” book. He quickly understood what this rock in front of him was. Yi Yun drew out his Thousand Army Saber and slashed down! With a light sound, the black rock was cut into two! Yi Yun’s eyes lit up. The Thousand Army Saber was able to cut through metal like mud, and with his strength, even a thick metal wall would be easily cleaved by Yi Yun, not to mention a rock. Yet, the rock in front of Yi Yun, although it had split open, still caused numbness in Yi Yun’s hands. This was no ordinary rock, but a meteorite! The meteorite Yi Yun split was smooth on the inside. It was grayish-white. Within the grayish-white texture, there was a hole the size of a thumb which was very conspicuous. Yi Yun put his finger into the hole to clasp it and a smile appeared on his face. He quickly dug out a ‘worm’ from the hole! However, this was not a worm, but something known as “Meteorite Gra.s.s”. It was a tuber-like plant. Meteorite Gra.s.s will send its seeds flying tens of thousands of miles away into the vast wilderness, finding a place to root. It would be attracted by meteorites, especially metallic ones, before landing on the surface of a meteorite. The Meteorite Gra.s.s’ seed will then secrete a corrosive liquid and, after a few years, it would slowly tunnel into the meteorite, taking root! Then, the Meteorite Gra.s.s will be like a worm in an apple. It will slowly crawl and make thumb-sized tunnels within. It will absorb the meteorite’s essence, allowing it to grow! These sort of amazing plants made Yi Yun sigh. In the Divine wilderness, there were all sorts of wonders. The lifeforms here exceeded Yi Yun’s past knowledge. After Yi Yun began practicing martial arts, his memory had become extremely good. He had already memorized all the dragon scale runes rewards within the manual. Mystic-ranked herbs began at ten dragon scale runes. Based on the herb’s value, a few rare Mystic-ranked herbs could be worth as much as a hundred dragon scale runes, more than some Earth-ranked herbs. 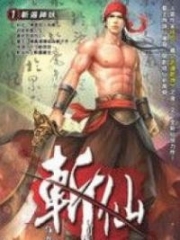 You're Read True Martial World Chapter 177 - Meteorite Grass online at NovelOnlineFull.com. You can use the follow function to bookmark your favorite novel ( Only for registered users ). If you find any errors ( can't read,broken links, can't load photos, etc.. ), Please let us know so we can fix it as soon as possible. And when you start a conversation or debate about a certain topic with other people, please do not offend them just because you don't like their opinions. You're reading True Martial World. This manga has been translated by Updating. Author(s): Cocooned Cow,蚕茧里的牛. Already has 8924 views. Current Time is 24-Apr-2019 00:08:37 AM.